This Shirasaya Japanese Tanto features a unique full ray skin design; It is folded 13 times creating 8192 layers and it’s been clay deferentially tempered and polished by Hadori method – the traditional Japanese classical process- the Hadori polish (also known as the KEISHO). The blade exhibits clear curly grain patterns and a natural authentic wave hamon. The hamon has been enhanced by Hadori polishing using a coarser abrasive than the body of the blade, leaving it whiter in appearance. 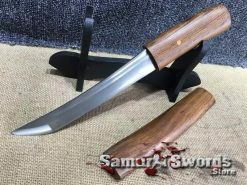 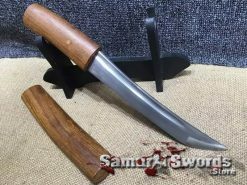 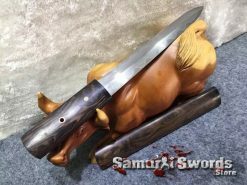 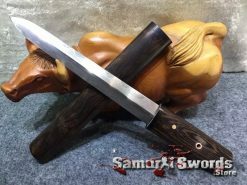 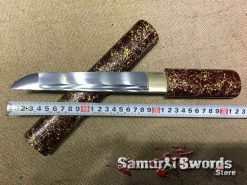 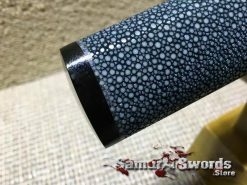 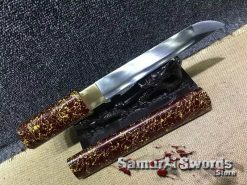 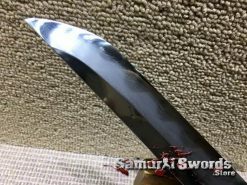 In other words, the blade smith uses a stone called Hazuya and whitens the area that further enhances the shape of the Hamon. 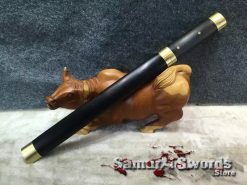 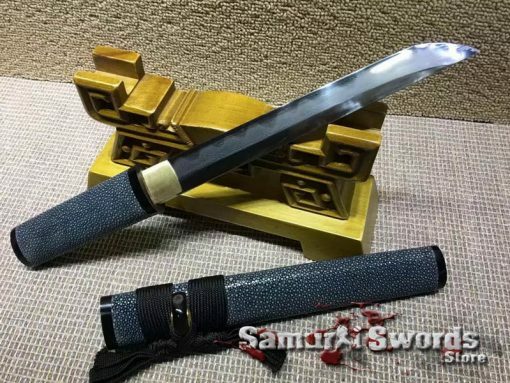 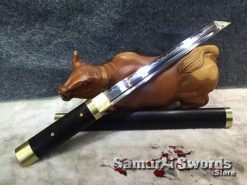 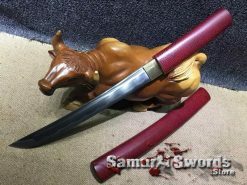 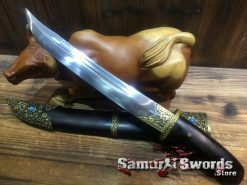 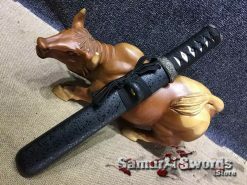 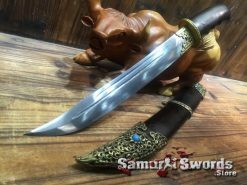 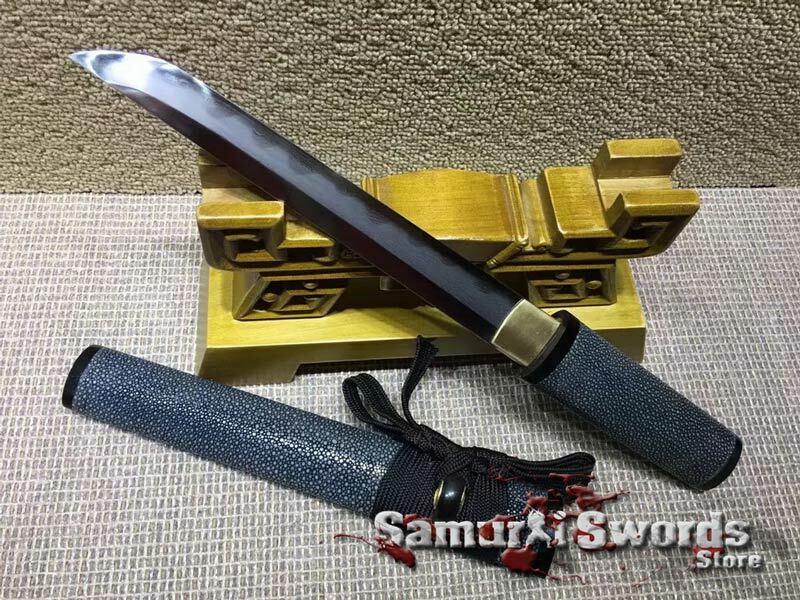 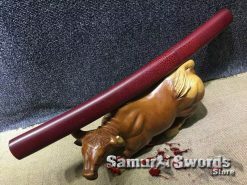 The saya and tsuka (scabbard and handle) have full authentic ray skin finish with all buffalo horn fittings. Every aspect of the tanto has top notch finish. 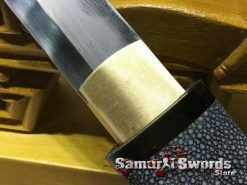 It fits seamlessly into the tsuka. 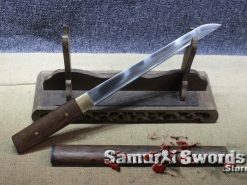 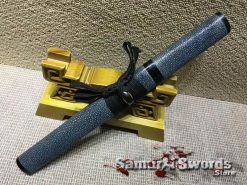 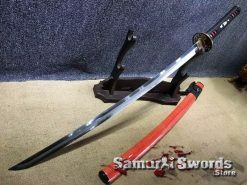 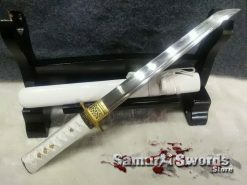 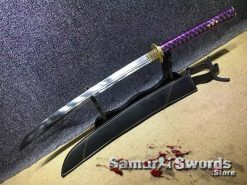 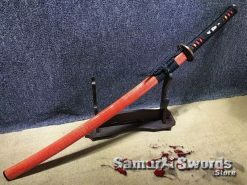 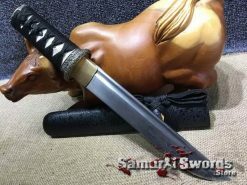 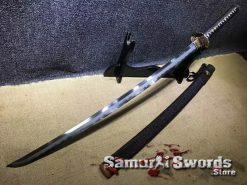 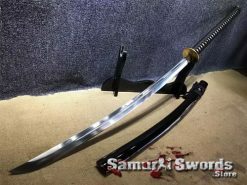 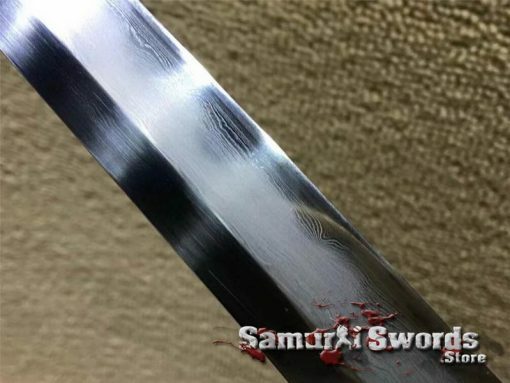 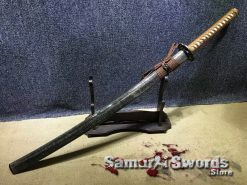 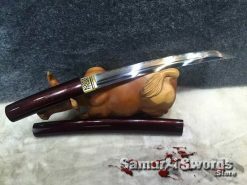 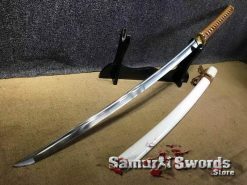 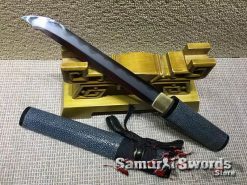 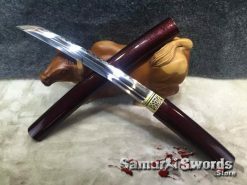 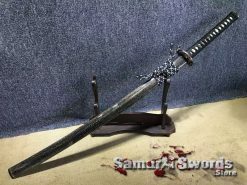 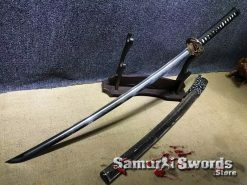 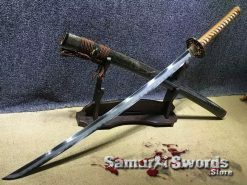 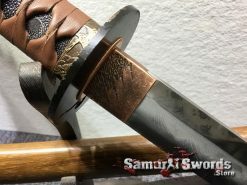 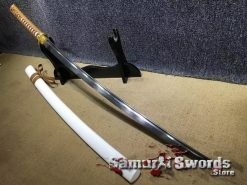 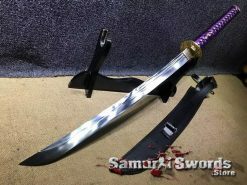 For those who are not familiar with the making of Japanese swords, Hamon (from Japanese, literally means “blade pattern”) is a visual effect created on the blade by the clay hardening process. 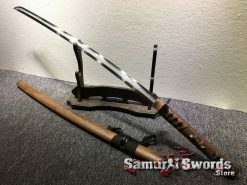 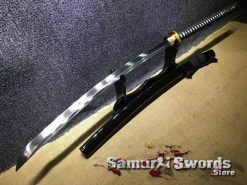 A Hadori finish can be applied to almost any sword. Few people do not like Hadori finish because when it is done too heavily it hides the details of the Hamon, but when it is done well it actually enhances the visibility of the crystalline structures. The ultimate purpose of this procedure is to reveal the best of the hamon. 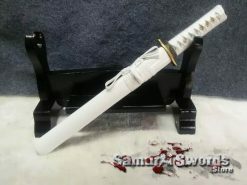 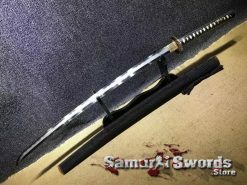 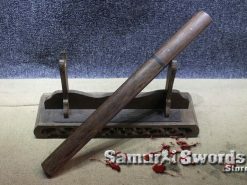 A silk sword bag and padded storage sword box are included with this tanto.